I have had the Apple Watch since I received the new iPhone 6S Plus. I’ve not really dedicated a post covering the Apple Watch as I have had some teething problems with iCloud and iTunes Match. Fortunately, these all seemed resolved. So now I can spend some time talking about why I stayed using the iPhone and that has to do with the wider hardware and software Eco system. The hardware includes iPad, MacBook and the of course the Apple Watch. I think I was lucky to get the Apple Watch when watch OSv2 arrived, otherwise I reckon I would have been somewhat disappointed with the original firmware. I looked at the 3 Apple Watch models and choose the steel finish with the Milanese strap and a spare sports strap. I like the blue sports strap as its marginally more comfortable than the Milanese strap, but doesn’t look as posh. But now I never wear the blue sports strap. Should I wish to swap the band, Apple make this process so simple with the push to release mechanism. 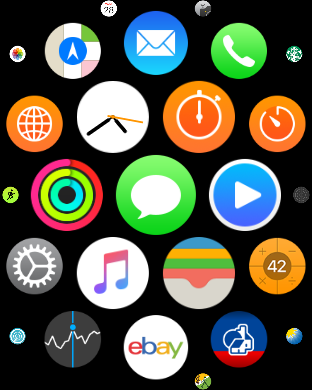 So what do I like about the Apple Watch. The attention to detail in the build. I like the look of it on my wrist. However, my wife and I were discussing the real need of the Apple Watch and we both agree it is not necessary to own. If you want to get fit, buy a Fitbit Charge HR for £100. However, what I have found as the month has progressed is how I start to use it for small things and let it help me speed up some routines or processes that I would use my iPhone for. 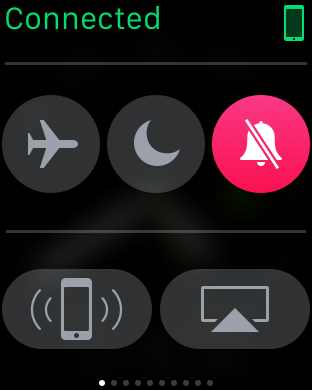 Some of the flash stuff I like using on my Apple Watch is taking phone calls usually when my hands are engaged and my iPhone is in a different room. There is a slight delay while it hands off the call to the watch. This is only a viable option in a quiet room as the volume is not very loud. However, background noise does seem to get partially removed which is a plus point. 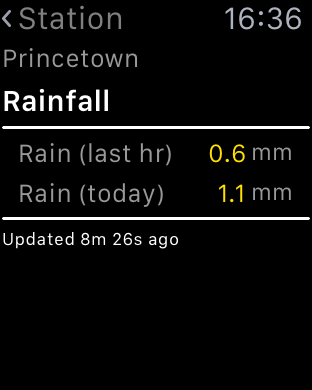 My weather station statistics can be displayed on my Apple Watch and even includes a complication. 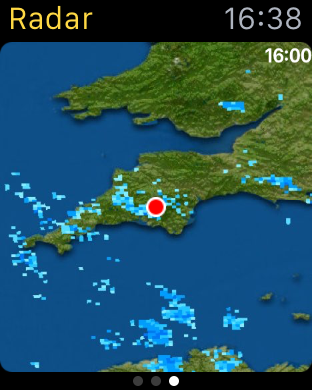 I can take measurements with Qardio Blood Pressure monitor, monitor my walks across Dartmoor using Viewranger GPS. Replying to notifications via voice is accurate. Sending heart beats to my wife or little hand drawings is silly but fun at the same time. Using Hey Siri command, seems hit or miss. The fitness aspect of the watch works as described and links nicely into the activity and health app. 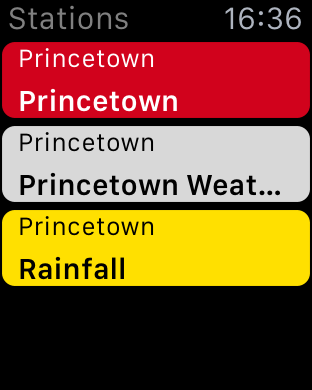 As apps develop with the new firmware I can see more clever stuff being possible on your wrist. However, less is more so it I don’t let all my notifications hit my wrist. 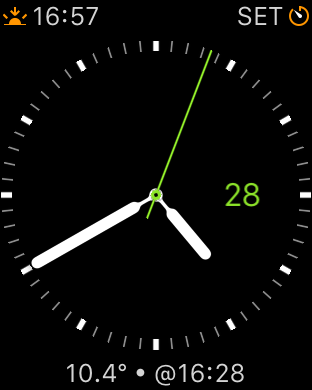 The Taptic vibration is also a lovely aspect of the watch. But as I originally said, it is not a must have item, just a cool and clever item to have. Maybe that’s why Apple are trying to steer its focus away from a tech need, and more a fashion need! Regardless, I really like it for its style, apps and geek factor. Shame Samsung didn’t make the Gear Fit work with standard Android phones as it is quick simple and very affordable at £80 and it does look interesting. Great post Gavin. The watch grows on you. It’s notifications are simple ….but yet really helpful . After several months with the watch I can say I really mis it when I wear a regular watch .